AAA warns shoppers to avoid distractions in the parking lot, and it unveils its top 10 Black Friday safety tips. WASHINGTON — During the hustle-and-bustle of Black Friday shopping, AAA Mid-Atlantic is warning shoppers to avoid phone use and other distractions in parking areas. “It is imperative for motorists to concentrate on driving and to avoid distractions as they seek out those holiday bargains,” John Townsend, AAA Mid-Atlantic spokesman, said in a news release. The organization cites a National Safety Council poll that finds two-thirds of drivers will likely be distracted when they’re in parking lots and parking garages. Sixty-six percent of drivers would make phone calls while driving in the parking lot, the poll found, while 56 percent would text. 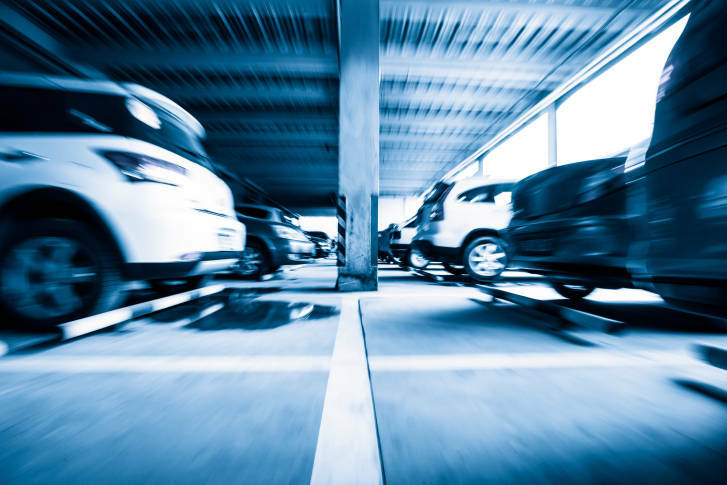 Nationally, one out of every five car crashes occurs in parking garages and parking lots, according to the National Highway Traffic Safety Administration. And according to the NSC’s Injury Facts 2016, an average of more than 50,000 crashes occur in parking lots and parking garages annually, resulting in at least 500 deaths and more than 60,000 injuries. AAA also recommends that when shoppers are walking in parking areas, they should remain alert and not use the phone. Thirty percent of pedestrian collisions in Montgomery County, Maryland, for example, occurred in parking lots, with many resulting in severe injuries. Stay on guard in parking lots. Be aware of your surroundings and park in well-lit areas when shopping during early morning hours and at night. When returning to your vehicle, have keys ready in hand, check under your car and in the back seat before getting in, and lock your doors as soon as you get in. Watch for loiterers and report suspicious people. See and be seen. Use your headlights when scouring parking garages for spaces, even in the daytime. Avoid parking between a pair of tall SUVs or minivans where it might be hard for you to back out of the space. If you can’t see well enough to back out safely, get help from one of your passengers. Slow down, buckle up and obey the laws. Drive the speed limit, stop at stop signs, don’t park in spaces designated for disabled persons, and don’t text and/or talk on the phone. Ensure all passengers are buckled up even if it is a short trip to another part of the parking lot, as even a low-speed collision can result in injuries. Head for the side door. Many shoppers prefer to park near their favorite stores or near the mall entrance. Most malls have secondary entrances on the sides, and those entrances usually have less traffic and additional convenient spaces. Play the outfield. Outlying areas normally have more open spaces, lighter traffic and a lower risk of collision. Plus, it doesn’t hurt to walk off the holiday treats. In some cases, however, those spaces may not be as secure so be aware of the risks. Refrain from reverse. If possible, avoid backing out of a space by either backing into it or pulling through two spaces that are open nose-to-nose. Look out for children and distracted pedestrians. It can be difficult to see small children in busy parking lots, who may make quick, unpredictable movements. Hold the hands of your children to keep them safe from traffic. Also, watch out for those focused on their smartphones. Stay on track and alert. Pedestrians should use walkways and crosswalks, if available. If walking in the traffic lanes is unavoidable, be alert for subtle cues — including exhaust or reverse lights — that signal a vehicle is about to pull out. Lock your car and hide valuables. Thieves like to window shop. Place all shopping bags and valuables in the trunk, including the GPS and its mount, and always lock your car. Remove any evidence, such as GPS suction cup marks from the vehicle’s windshield. It takes a thief just seconds to smash a window and steal your shopping loot. Just stay home and wait until Cyber Monday. Many retailers will have special online promotions on Cyber Monday, the Monday after Thanksgiving.